The American College of Obstetricians and Gynecologists (ACOG) has issued a practice bulletin for management of asthma during pregnancy. The new recommendations appear in the February (2008) issue of Obstetrics & Gynecology. Asthma is a common, potentially serious medical condition that complicates approximately 4–8% of pregnancies. In general, the prevalence of and morbidity from asthma are increasing, although asthma mortality rates have decreased in recent years. The purpose of this document is to review the best available evidence about the management of asthma during pregnancy. During pregnancy, it is safer for women with asthma to be treated with asthma medications than to have asthma symptoms and exacerbations. The clinical assessment of asthma includes both subjective evaluations as well as pulmonary function tests. During pregnancy, the main goal of asthma treatment is to maintain sufficient oxygenation of the fetus by preventing hypoxic episodes in the mother. The step-care therapeutic approach entails increasing both the number and dosage of medications as asthma severity increases. For persistent asthma during pregnancy, first-line controller therapy consists of inhaled corticosteroids. During pregnancy, budesonide is the preferred inhaled corticosteroid. For pregnant women with asthma, recommended rescue therapy is inhaled albuterol. Maternal well-being can be improved, with less need for medication, by identifying and controlling or avoiding exposure to tobacco smoke and other allergens and irritants. Continuing immunotherapy is recommended for women who are at or near a maintenance dose, who are not having adverse reactions to the injections, and who seem to be deriving clinical benefit. In general, only small amounts of asthma medications enter breast milk. During breast-feeding, use of prednisone, theophylline, antihistamines, inhaled corticosteroids, beta2-agonists, and cromolyn is therefore not contraindicated. Asthma self-management skills can enhance asthma control. 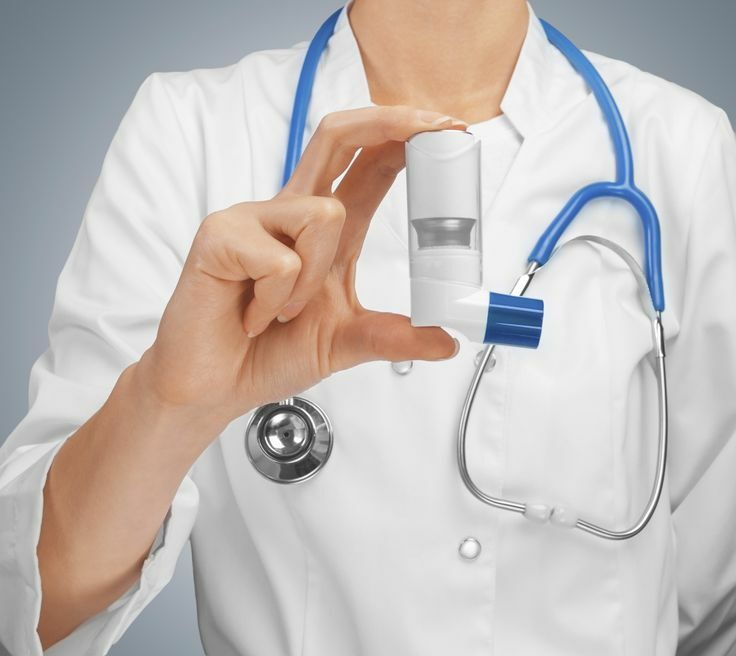 These include self-monitoring, knowledge concerning correct use of inhalers, compliance with a plan for long-term asthma management, and promptly addressing signs of worsening asthma. For women with moderate or severe asthma during pregnancy, ultrasound and antenatal fetal testing should be considered. Pregnant patients with asthma should be monitored with testing of peak expiratory flow rate and forced expiratory volume in 1 second as well as by following their symptoms during pregnancy. This applies even to women with mild or well-controlled disease. Pregnant women with persistent asthma should undergo routine evaluation of pulmonary function, because pulmonary function and asthma severity may change during the course of pregnancy. The ultimate goal of controlling asthma during pregnancy is to ensure that the fetus continues to get adequate oxygen by preventing asthma attacks. For mild intermittent asthma, albuterol should be given as needed, with no regular daily medications. For mild persistent asthma, the preferred regimen is a low-dose inhaled corticosteroid, with alternative treatments being cromolyn, a leukotriene receptor antagonist, or theophylline to a target serum level of 5 to 12 µg/mL. 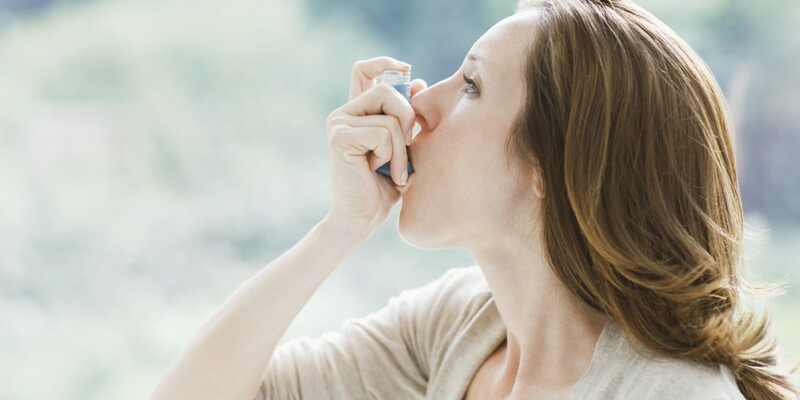 For moderate persistent asthma the preferred treatment is a low-dose inhaled corticosteroid and salmeterol or medium-dose inhaled corticosteroid or medium-dose inhaled corticosteroid and salmeterol if needed. An alternative regimen is a low-dose or medium-dose (if needed) inhaled corticosteroid with either a leukotriene receptor antagonist or theophylline to a target serum level of 5 to 12 µg/mL. For severe persistent asthma, preferred treatment is a high-dose inhaled corticosteroid and salmeterol, plus oral corticosteroid if needed. An alternative regimen is a high-dose inhaled corticosteroid and theophylline to a target serum level of 5 to 12 µg/mL, plus an oral corticosteroid if needed. As a proposed performance measure, this practice bulletin recommends the percentage of pregnant patients with persistent asthma who have undergone pulmonary function testing. Optimal management of asthma during pregnancy includes objective monitoring of lung function, avoiding or controlling asthma triggers, educating patients, and individualizing pharmacologic therapy to maintain normal pulmonary function.